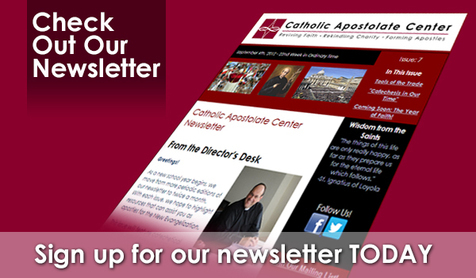 Don't miss previous editions of our Catholic Apostolate Center electronic newsletters. Each newsletter is packed with great resources that you don't want to miss! Haven't signed up for the newsletter yet? Just click on the link at the bottom of the page to sign up today!